Having spent time working in ministry for as long as I have, there are a number of similarities I’ve found between youth leaders. First, we seem to have a disproportionate amount of pizza in our diets. Second, we seem to own more t-shirts than the average adult. Third, we are a bunch of liars. We all lie to ourselves as ministry leaders. We probably all lie to ourselves as humans. Maybe it’s because we are good at putting on a brave face for the church and our ministries, or maybe because our passion for what we do clouds the logical part of our brains. Either way, we convince ourselves of things that are not true, and a lot of the time it’s at the expense of our own health or well being. It can be dangerous to our relationships, our faith and our jobs, and it needs to stop. As I said, there is no shortage of examples, but there are a few lies that are particularly unhealthy and seem to be universally believed at one time or another. In hopes of addressing them and moving past them, I’ve picked a few to consider. So here are the three biggest lies we as youth leaders tell ourselves. I don’t care about numbers. Let me be clear – youth ministry isn’t about the numbers. I know that. Ministry is about relationships and making disciples, focusing on people as individuals, not crowds. So numbers don’t matter to me…except they kind of do. Not because my church or leadership is pressuring me to get bigger numbers; everyone I work with and for is enlightened enough to understand how true ministry works, and that spiritual growth is not quantified by attendance numbers. Not because my budget or resources are tied to attendance; I am blessed to have the support and resources of the community as a whole. It’s not even because of my students; they actually prefer smaller numbers for better conversations and a more intimate feel. No, the pressure of getting big numbers is all my own doing. No matter how how much I tell others and myself that I don’t care about numbers, the truth is that I do care. Deep down I want more youth to come. Part of me gets wrapped up in the if I am supposed to make disciples of all the nations, which sounds like a lot of people to me, more youth at a time is better. It’s just math. Another, much bigger, part of me sees my attendance as a reflection of the job I am doing. I know it’s unhealthy and irrational, but our minds don’t always work in rational or healthy ways. I also think it’s what drives me to do well. I love my job and want to build a great program, and too many years of ministries and churches have pounded into me the perceived connection between numbers and success. Truth: In our minds, how we choose to view and gauge our own success will trump how others gauge our success every single time, so if we are too wrapped up in numbers, we will stress ourselves out of doing true ministry. I think caring a little bit is inevitable but it’s a slippery slope, so we must keep ourselves in check so we don’t let it run wild. I like to set goals for myself outside of attendance numbers, make a list and review it every 3-6 months. It helps me strategize to meet those goals, which drives the ministry and my passion into new and exciting places and helps me focus on what I should be focusing instead of worrying and stressing out about the nonsense of numbers. I know enough to do what I do. There are several variations of this one, like “I can learn everything I need to know from Google” or “I read a book once, now I can do perfect ministry” or even “My ministry’s been successful for years now, I can keep just doing what I’m doing.” They are all different lies tied to the same truth: growth is necessary. 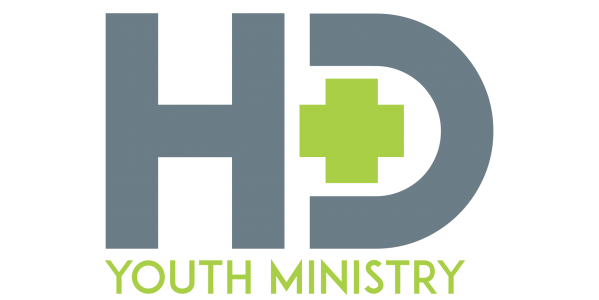 There is a wide array of positions and a wide array of qualifications to hold those positions in the youth ministry world. My first youth position was as a “Youth Director” and I was hired with no related degree or experience. My only experience in youth ministry at the time was my own youth ministry from when I was in high school, some 4 years previous in a different town, different community demographic and different denomination. Now, over a decade later, with lots of experience under my belt and a resume that makes it look like I know what I am doing, it’s tempting to think that I am doing everything the best way it could be done, or that the past success of my ministry automatically means future success if I keep doing what I have been doing. My first congregation didn’t have funds to send me to conferences or pay for educational opportunities, so for a long time I had gotten into the mindset that I had to figure it out myself. Once I found a way of doing things, I convinced myself that it was the only and best way. It’s a habit I have worked hard to break, and I have to continually work to not revert back there when things are going well. Truth: There are too many amazing resources out there to think that there’s nothing you could learn. Classes and conferences are a great way to hear and see what’s on the cutting edge of youth ministry. There are unbelievable things that ministries are doing in their churches and communities and there are numerous opportunities to learn all about it. Even peer-to-peer networking can be an amazing resource, if you come into it with an open heart. It’s easy to get into competition with other leaders, but if you can fight that urge, you can learn a ton as well as be a resource for others. Some of the best ideas and programs I have done and still do started with a brainstorming session with my network of youth worker friends or hearing about an event they did and loved. The bottom line is that we don’t have to rely on ourselves and Google to figure out how to invent youth ministry. There are pioneers out there trying new, exciting things that want to tell you and show you how they did it. Youth ministry is a team sport; we get to learn and grow together if we are willing to try. I am spiritually full. There are times that this is the truth, but I find that those times are few and far between for the average youth worker. There is something deceiving about spending most of my time reading and studying the Bible and sitting in church services. If you look at the data, I should be very spiritually satisfied. When it comes down to time in the Word and in a pew, I am doing really well. My prayer life is astounding; after my personal prayers, staff meeting prayers, youth group prayers, lunch meeting graces, and Sunday morning prayers, it almost feels unceasing! When it comes to being in the church itself, I am doing amazing. In the percentage of conversations that involve God, faith or the Bible, I’ve recently leveled up to Pope-status. I should be brimming with the faith warm fuzzies. The trouble is, I don’t think about it much, with the rest of my life distracting me. Family, friends, money, housework…there are countless things I can choose to focus on instead. And even when I feel the ache of spiritual drought, I usually convince myself that it’s just being tired or busy or stressed. Truth: My work is not devotion. It’s just not. Leading worship is not the same as worshiping. Sunday mornings at your church is still being work. I am still “on” when I am at church on Sunday. I don’t take the time to be raw or broken, I don’t allow myself to expose myself and break down. I am in the pews, but I am also at my workplace. Spiritual retreats and mission trips that I have to lead are not retreats at all. In fact, they are often the times we have more stress and have less time to focus on God. We need to find time for our own spiritual peace and reflection. We need to find a time and place to worship free from the prying eyes and expectations of our own congregation. Just being in the building is not enough; it may be part of the problem, actually. The church is my office. Separating that work energy and focus on Sunday mornings to worship is nearly impossible, especially the 9 months out of the year that immediately before worship and several hours after worship I am back on the clock to run programming. The spiritual health of a spiritual leader is crucial, and we need to recognize what we do professionally just isn’t enough. So instead of lying to ourselves, what can we do? Be deliberate. Be intentional. Go out and spend time with God completely detached from work, event preparation, teaching and sermon writing. Don’t trick yourself into thinking sermon prep or writing a Bible study is also spiritual time for you, too. Worship, prayer and devotion should never really be a “two birds with one stone” sort of thing, anyway. The truth in these lies is not unknown to us, but sometimes we need to be called out on our half truths and personal hangups. If we can get our mind around these difficult issues, our ministries will be healthier for it, and more importantly we will be healthier for it. Working in ministry is not for the faint of heart, so remember you are doing something great and that it’s okay to admit you struggle with these issues. I do, too, and I’m working on it. John Wesley says we should always be moving onward toward perfection, so let’s look at these hard truths and move onward together. Previous Post Let ’em Speak!